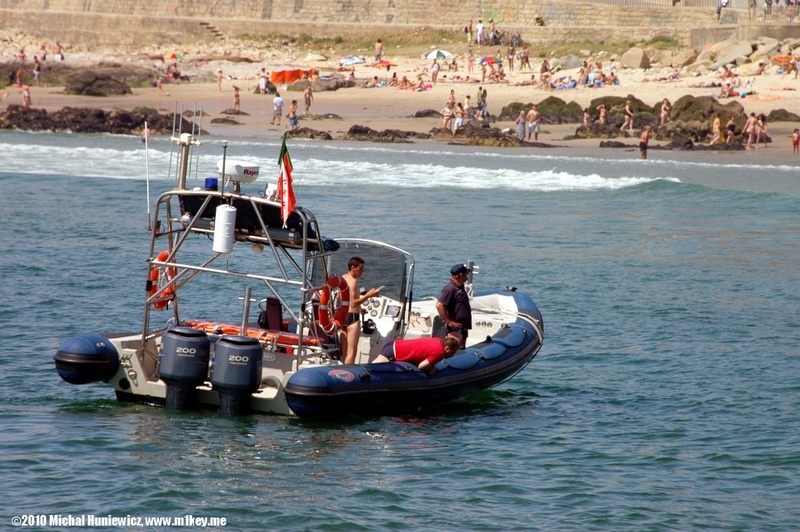 This gallery shows Porto lifesavers at work. 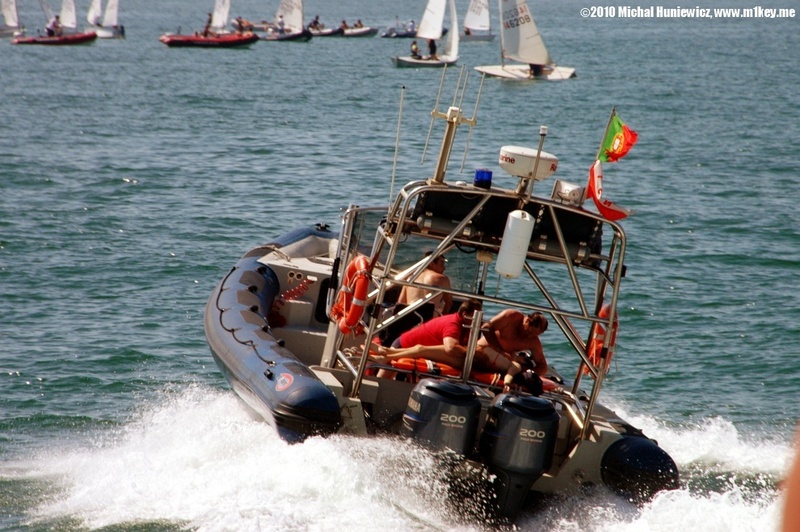 The event took place in the waters near the Castelo do Queijo, Porto. 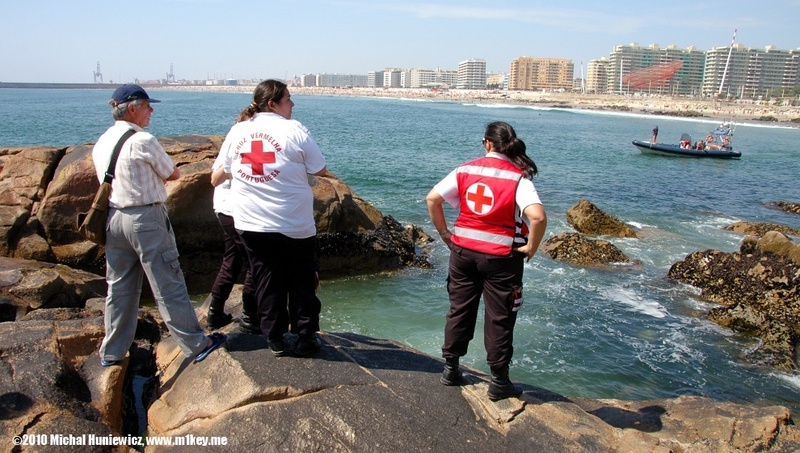 A 15 year old girl suddenly disappeared in the bay, close to the shore. Someone called for help and an ambulance, lifesavers on foot and in a rescue boat quickly arrived at the scene. Two of the lifesavers climbing the slippery rocks with warm puddles near Castelo Do Queijo. Three lifesavers waiting on the shore as the rescue boat crew is attempting to spot the girl underwater. The boat people did not know the exact location where the girl was last seen and water currents could have moved her elsewhere, so they had to keep looking everywhere within a certain perimeter. It took at least ten minutes before the boat crew spotted anything. 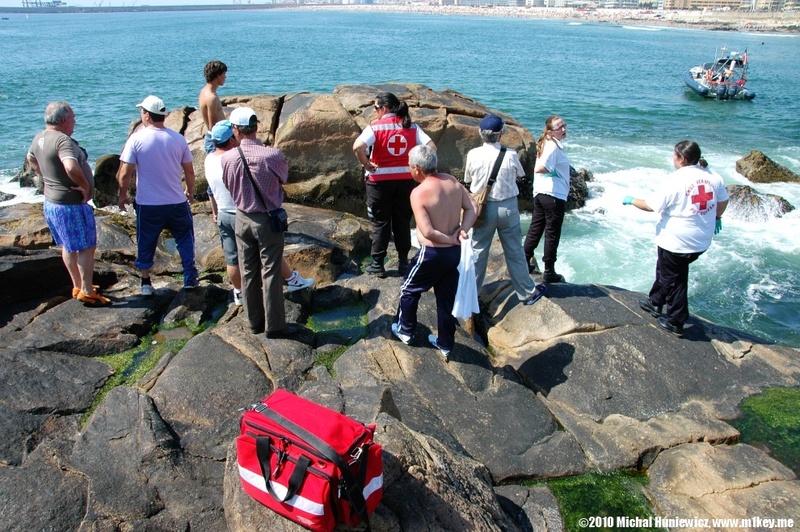 Here, the lifesavers and a fisherman observe the rescue mission. Suddenly, the girl was spotted. She was quickly taken out of the water. People gathered on the beach shouted cheerfully and clapped their hands, which was somehow unexpected to me. However, as I learned later, she was already dead at that point. Within seconds she was in the boat. 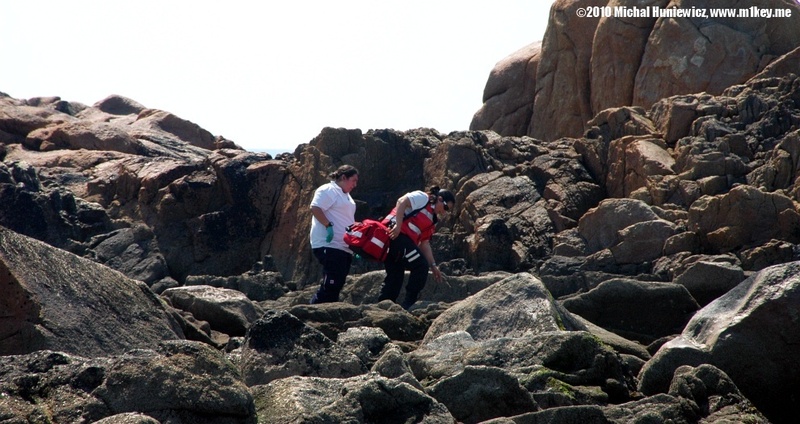 The rescuers took her quickly to the shore where an ambulance was waiting ready to take her to the hospital. 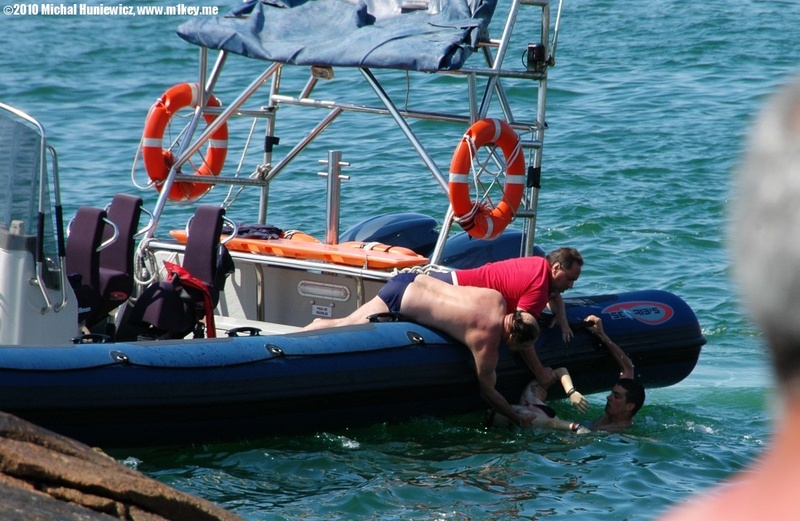 Although they attempted CPR already in the boat, she remained lifeless after having spent many minutes underwater. 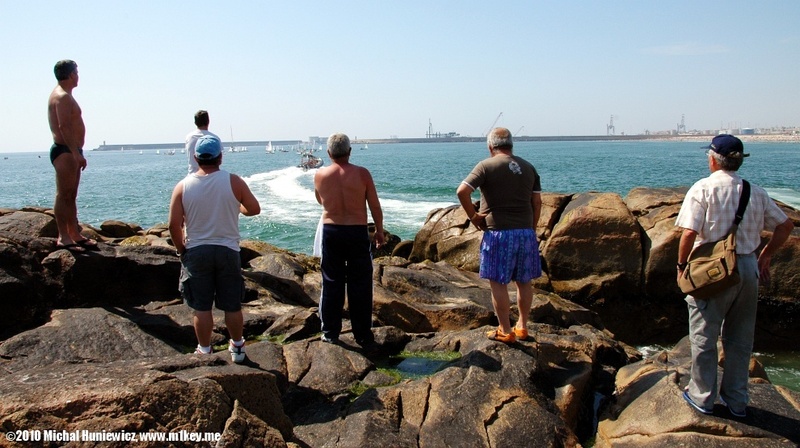 The fishermen observe the rescue boat rushing to the shore. As I learned later after returning home to Amsterdam, the girl was brought back to life in the hospital. From then on, her fate has remained unknown to me.